How do I collect information from my members? 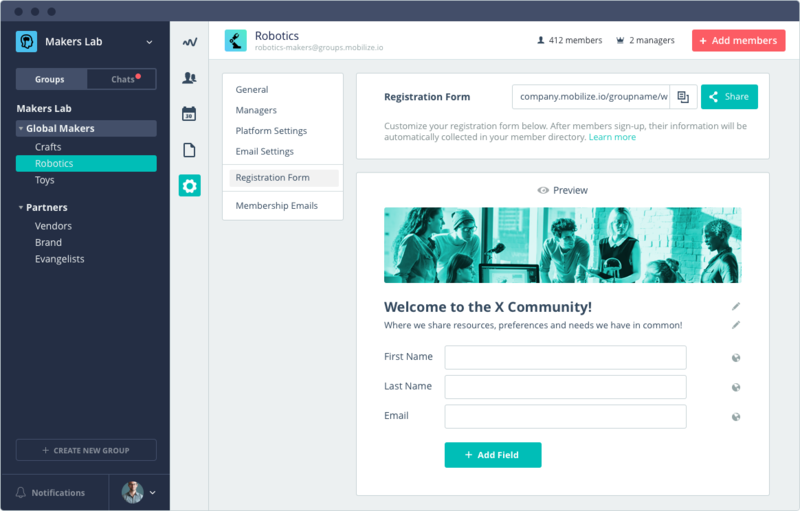 You can collect information about your members by creating your own branded Registration form. 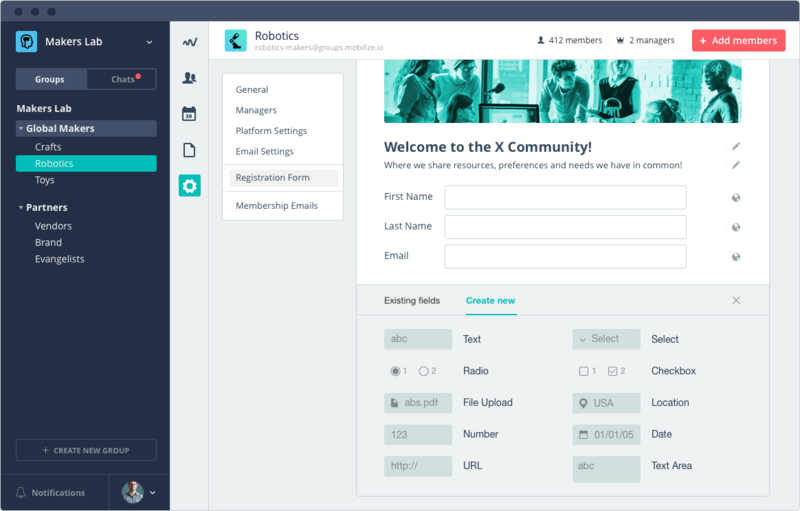 You can create a custom registration form for each group you create with specific questions and fields. 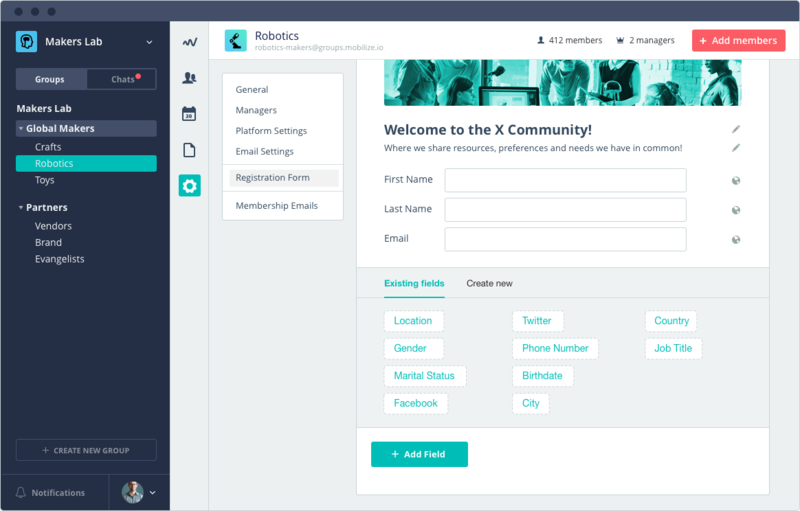 The registration form fields are what populates your Member Database. 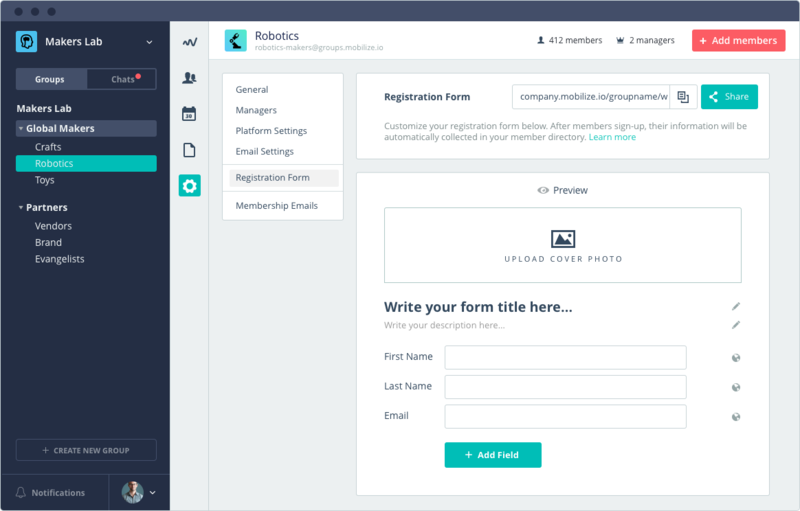 You can add a header image to the form at the top and a Form Title and Description below it. 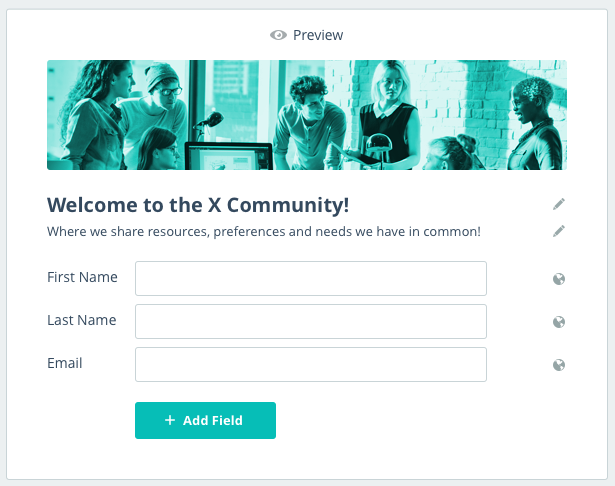 For the Form Title, we recommend saying, "Welcome to the X community!". For the Description, we recommend adding the group objectives or terms of agreement. You can add as many fields as needed to your forms. We give you basic fields to start, First Name, Last Name and Email. You can add more fields by clicking Add fields button at the bottom of the form. You can choose from existing fields or create new ones. Pro Tip: When using the Location field on your form to collect address information, we recommend also creating a text field underneath it to capture detailed address information such as suite or apartment numbers. Note: when using the Location field, you will not be able to upload data to this field. Admins Only: data in these fields is only visible to the admins, the member does not see this field on the form or know that this data exists about them in the system. 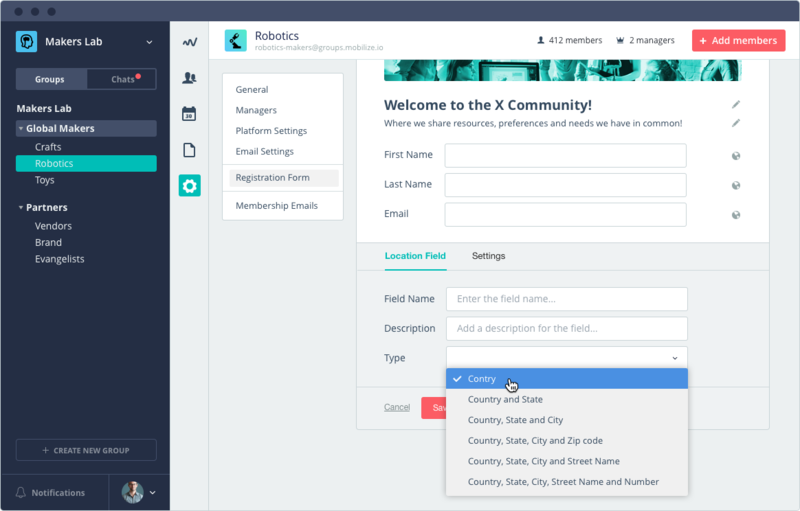 Once you choose the visibility setting you want, you can set whether the member can edit the field and if it's a required field. Repeat this process for every field you add. You can always edit fields at a later time. 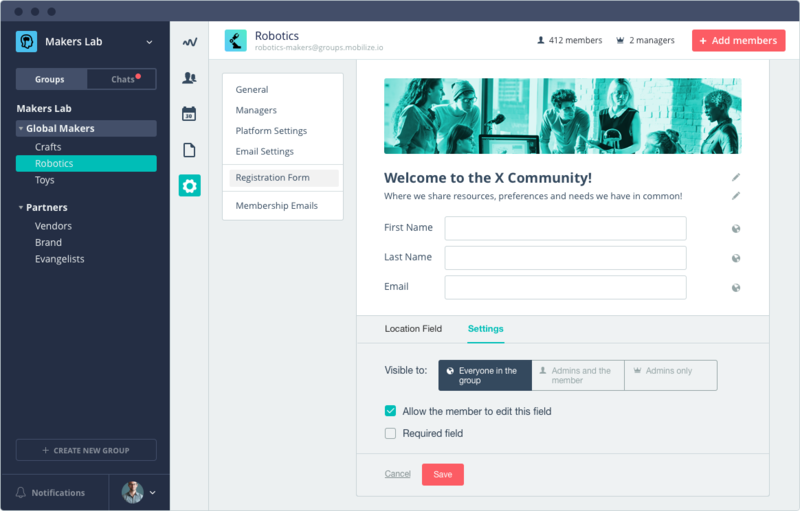 Once you've created your fields, you can either preview the form by clicking the Preview button or you can share the form's URL to recruit new members to sign up!